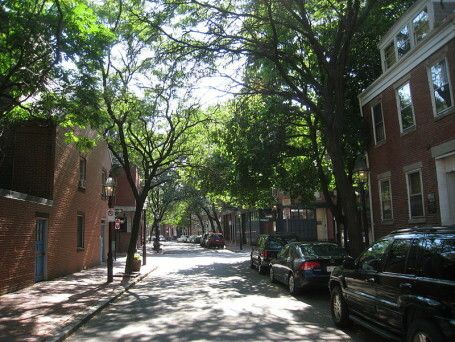 The smallest neighborhood in the City of Boston, Bay Village more than makes up for its lack of size with its inviting and charming atmosphere. Created by a landfill in the 1820’s by developer Ephraim Marsh, the area has been known as the Church Street District, South Cove and Kerry Village. Many of the homes look like smaller versions of Beacon Hill townhouses because the craftspeople who built the Beacon Hill residences settled in this area and built local residences for their own use. The neighborhood is also centrally located with several restaurants, the Theater District and many other cultural attractions. Bay Village is a very small neighborhood with a population of just 1,120 people. The majority of the population is in the age brackets of 20-29 and 30-39, giving it a vibrant and young feel. Among Bostonians, the neighborhood is thought by many to have one of the strongest advocates for LGBTQ rights in the city. The local MBTA stations nearby include Arlington & Boylston (Green Line) and Tufts Medical Center & Back Bay (Orange Line). These stops make the village quite accessible, which is good news given the low number of on-street parking spaces available. 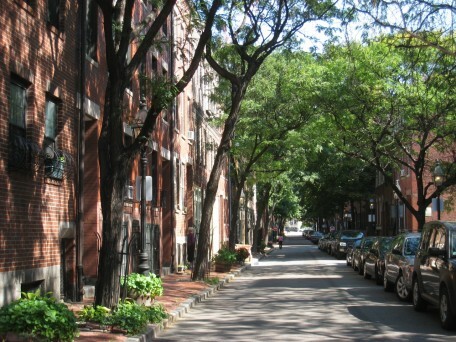 Click Here to explore the active property listings in Bay Village, Boston MA. To search recently sold properties (condos or homes) for this neighborhood or any others, visit our Sold Properties page. Would you like to receive instant email updates of new listings in Bay Village, as they come on the market?